The controversial traffic hand signals of Mar Roxas which now considered as one of the most viral videos in the Philippines about politics and sarcasm already reached the Middle East, particularly in the United Arab Emirates. The video showed an alleged Arab guy doing the controversial traffic hand signals popularized by senatorial bet Larry Gadon getting some inspirations from Mar Roxas who was caught on camera manning the traffic in EDSA during the past few years. The controversial traffic hand signals of Mar Roxas was already used by some netizens to mocked the former Presidential bet and current senatorial candidate Mar Roxas in social media. Various photos showing the viral hand signals of Mar Roxas also spread online. One of the most popular photos was that of an unnamed guy who performed the hand signals even side by side with Mar Roxas. 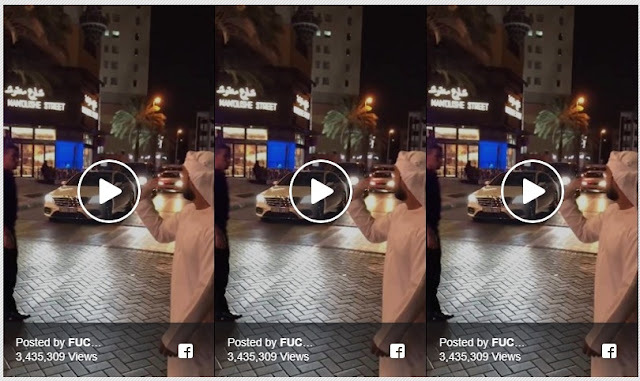 Netizens reacted also with the latest controversial video showing the popular traffic hand signals of Mar Roxas and this time around it even conquered the United Arab Emirates (UAE).